Fiona Hall, Liberal Democrat MEP for North East England endorses Europeans for Fair Roaming. She is the 7th MEP to endorse our campaign, which now has cross-party by MEPs from most political groups in the European Parliament. Ms Hall is a member of the Parliament committee on Industry, Research and Energy, which is the main committee concerned with the roaming regulation. 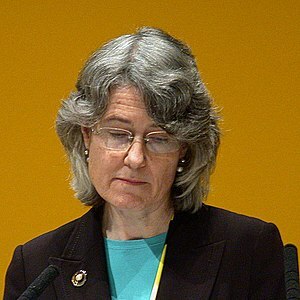 Please visit her website at http://fionahall.org.uk for more information about her work and click “continue reading” below to read her full statement on the new roaming regulation. “Returning home from holiday is depressing enough without finding a massive mobile phone bill waiting for you. People have come to rely on being able to access the Internet on their phone but even checking Facebook and Twitter while abroad can lead to hefty charges from the networks. It’s time to end this roaming rip-off. Calling, texting or using the Internet from your mobile should cost the same wherever you are in the EU. The only reason it doesn’t it because of the greed of the networks. They have tried to block every move we’ve made to reduce charges because they know how much people depend on their mobile phones. We end up in the situation where people are terrified of using their phone abroad because they worry costs could quickly escalate. Having a fair, flat rate would help people keep in touch and provide peace of mind for holidaymakers and business travellers.